Today, I would like to take some time and share some of my best closing tips for network marketers. As a network marketer you must be able to look someone in the eye, ask them to take out their credit card, and make a purchase. If that scares you, you will not survive very long in this business. Just about anyone can invite a prospect to a presentation, but most reps don’t get the results they want in their business, because they don’t know how to lead their prospects to a decision. If you don’t know how to close, you’ll show lots of presentations, but no one will sign up or buy your products. Trust me, I’ve been there and done that. Learning how to close is not something anyone naturally knows how to do. It is a learned skill. Very few people have it mastered when they first join our industry. Selling is the # 1 skill to master in network marketing. When it comes to selling, closing is the # 1 skill to master. Closing is nothing more than asking for the sale and leading your prospect to a favorable decision. You have to realize that most people don’t know how to make a decision on their own. Most people have been told what to do their entire life, from the time they were a small child (by their parents and teachers) all the way up to the present day (their spouse and boss). Since they have great difficulty making decisions on their own, it’s your job to help LEAD THEM to a decision. Just to clarify, there is a difference between leading someone to a decision and pressuring them to sign up or buy. I am not a fan of hard-selling or pressuring anyone. I think that is amateurish and unprofessional. It’s one of the many reasons our industry has a bad reputation. Besides, if you have to pressure or convince someone to join your team or buy your product, you’re going to have to pressure and convince them to do anything at all with the business. Your real job is to lead people a decision. Your job is to give your prospects enough exposures and information, so they can make an informed decision. You must also ask them to make a decision. This happens with an effective selling process and follow-up. The only purpose of following up with someone is to give them additional information and added exposures, to move them one step closer to making a decision. In other words, closing someone and sponsoring them into the business is a process that takes time. You can’t expect to just show someone a presentation and then have them be “all in” with the business right then and there. Just so you know, most of the people I personally sponsor take 30 to 90 days to join my team, from the time I first contact them. Some folks take 1-2 years to make the decision to work with me. However, every time I talk with my prospects, I ask them to buy. I’ve learned that if I don’t ask them to buy or join, they won’t (even if they want to). The first thing you need to do is develop a sequential selling process. Your job is to develop a series of steps you will follow from the time you first meet someone until the time that you sign them up. Your job is to follow-up with your prospect within 48-hours (max) for EACH STEP of your selling process. In other words, you might end up following up with your prospect five to ten times BEFORE you collect a decision. It also might take 1-4 weeks (or longer) to walk someone through the entire selling process. Your # 1 goal is to sell your prospect on going through the entire selling process, so they can make an informed decision. In addition, you are asking them to buy AFTER EACH STEP in your selling process. Would you like to order the weight loss shake or the energy drinks with your first order today? Would you rather purchase the $499 starter kit or $199 starter kit today? Would you rather pay wholesale or retail with your first purchase? In other words, you are giving them two options to choose from, and asking them to pick one. This is much better than asking YES/NO type questions. I think it’s wise to assume that people WILL join or buy. You have to be positive and optimistic and have an abundance mentality. If you are thinking negative thoughts, your prospect will sense it. Of course, not everyone will buy or join, but you have to assume that they will! You must also come across as confident and poised. Remember this, no one wants to buy from someone who is desperate. I believe the Law of Attraction is always working, either for us or against us. Positive attracts and negative repels. Choose your thoughts wisely! Third party validation is one of the most important steps in the selling and closing process. Make sure you use a business tool or someone successful in your upline as third-party validation. If you are talking to someone you already know, this step is vitally important. People who know you really well are MUCH more likely to listen to a trusted adviser that you know, than listen to you. It’s hard to be a prophet in your own land. Use your sponsor or upline to help you close your prospects whenever possible, until you have mastered these skills yourself. One of my favorite things to do is to ask YES questions. I like to get my prospect answering YES repeatedly before I ask for the sale. This gets them in the right frame of mind and subconsciously prepares them to say YES to you when you ask them to join or buy. Never ask a question where your prospect can answer NO. Do yourself a favor and get with your upline and learn rebuttals for each of these common objections. Memorize them so you know how to overcome them. Tell the person what they are getting if they buy or join your team. In other words, what’s in it for them. Here’s what I tell people considering joining my team. When you join our team today you will get 200 free leads every month you place an order, access to the team’s monthly Advertising CO-OP, access to our Secret Facebook group, unlimited one-on-one coaching, access to our team training website, access to our weekly webinar and conference calls, daily training emails, access to our YouTube channel, and so much more. You’ll have me working closely with you until you sign up your first five people. Once your prospect knows what’s in it for them, it’s much easier for them to make a decision. The last thing, and most important step is to ask for the sale. Here are a few questions/phrases that I use to close my prospects. Which is a better fit for you today, signing up as a customer or as a distributor? Which product would you like to order as your first order, the energy drinks or the weight loss shake? How about we take five minutes and get your account created? What questions do you need me to answer before we get you started today? It sounds like this would be a good fit for you, how about we take two minutes and create your account? There is no secret closing line. Just find something you are comfortable with and use it every time. In summary, knowing how to close your network marketing prospects is a very important skill to develop if you want long-term success in this industry. You have to understand that most people cannot make a decision on their own. It’s your job as their sponsor and adviser to walk them through your selling process and give them enough information to make an informed decision. Whatever you do, don’t forget to ask for the sale. 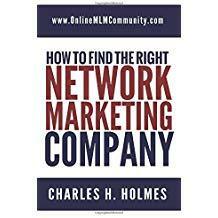 By following the advice in this post, you should be well on your way to MLM Success. What are your thoughts? What are some of your favorite closing tips for network marketers? Leave a comment below to let me know what you think. I look forward to hearing from you. A huge amount of sales are lost just because the salesperson does not assume, and ask for the sale. For some reason they think the person is going to beg them to sell them. They went through the whole process, but are fearful to ask for a sale. It just baffles me. Assuming the sale is a very good point–and one I need to re-work my mindset on. I tend to go into a home party hoping that a few people will make purchases, not assuming that each of them will buy something! If you’re assuming everyone wants something, the selling part doesn’t seem so bad. My favorite tips for network marketers in this article are to have a laid back approach in closing the deal with the prospect; and to always assume the sale. I agree it is better to allow the prospect to look at the business as option, instead of trying to convince them it is a necessity for them to be a partner in the business venture, only to have them leave in the end. This is not only good advice for the business world, but also for life in general. The best way to close is to assume the sale and to lead the prospect to the decision you want them to make. That has nothing to do with pressure or convincing. It just boils down to leadership and good posture as a salesman.